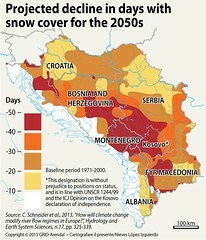 Higher temperatures will also shift the snowline upwards. 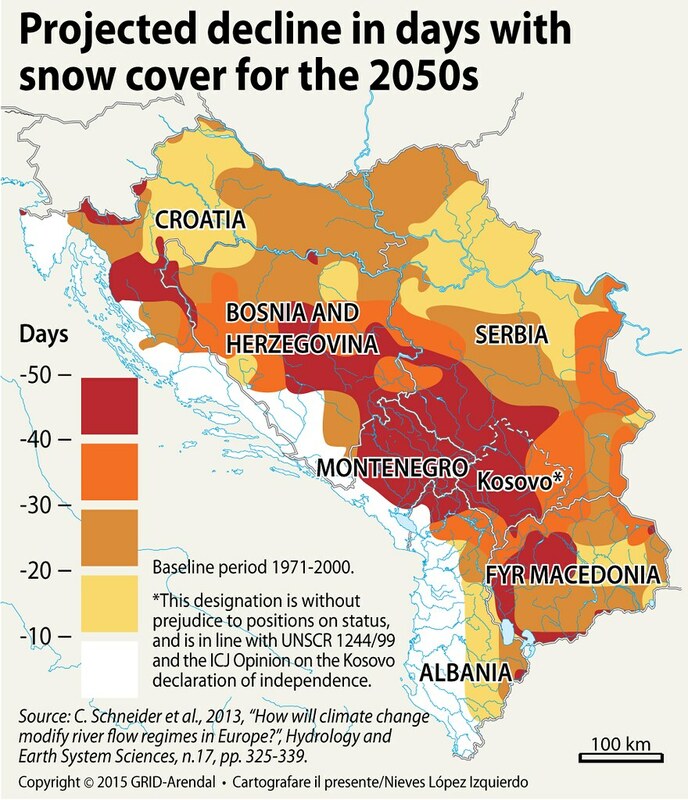 By 2050, a reduction of up to 20 days in snow cover is expected across the Balkans and up to 50 days in the Dinaric Arc (Schneider et al., 2013). 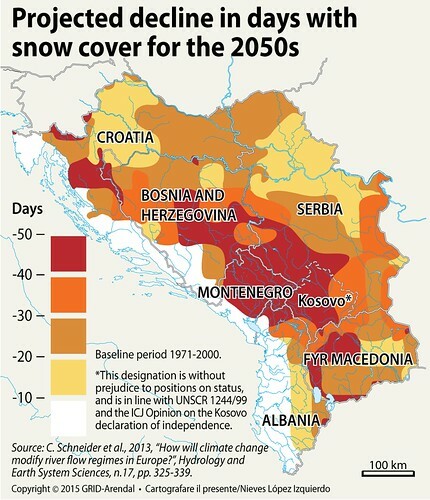 More intense rainfall and increased snowmelt during the winter will increase the river flood risk in both winter and spring across the region (World Bank, 2014), but the time of greatest risk will change from spring to winter for snow-influenced rivers.